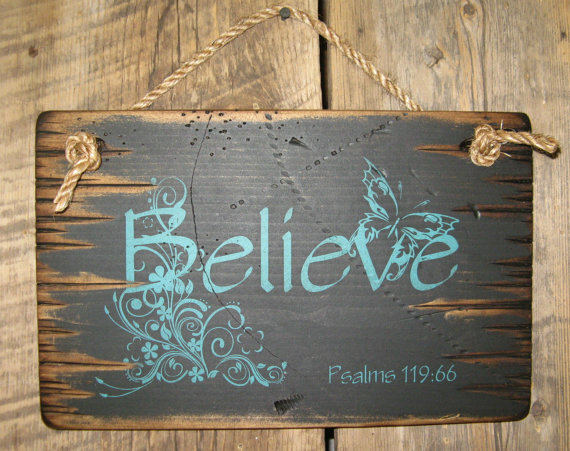 Believe, Psalms 119:66. 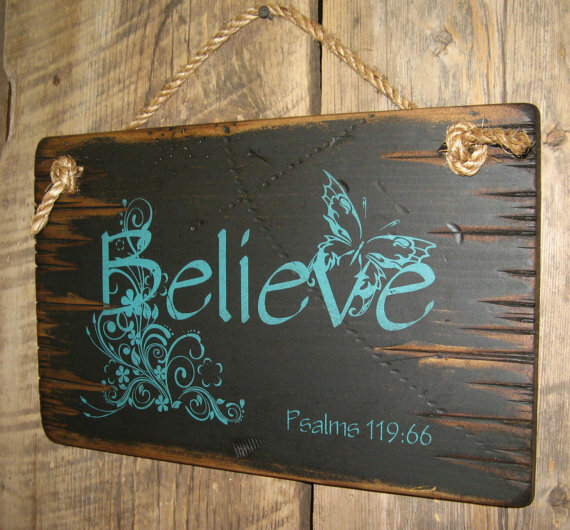 Look at this sign and remind yourself that sometimes all you have to do is "believe." 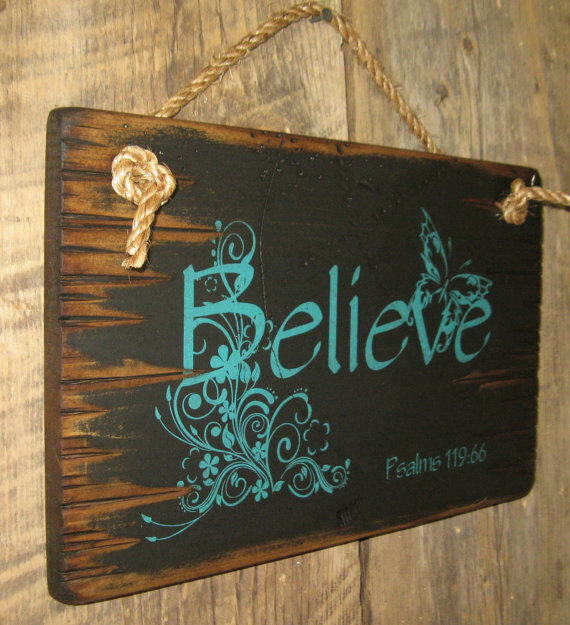 This sign measures 9x14, has a black background and comes with the grass rope hanger for easy hanging. Handcrafted with pride! Copyright © Cowboy Brand Furniture Community Software by Invision Power Services, Inc.